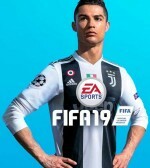 FIFA 19 doesn’t have many vital, new additions. Career mode is practically the same and Ultimate Team’s biggest change impacts only competitive players. However, the gameplay is satisfying enough that even with some of the series’ legacy issues, I witnessed many moments where I could say, “Last year that would have never have happened.” These don’t transform the series’ fundamental experience, but they add up and entertain to cut through the stagnation of the modes. In FIFA 19, a player in the box might try to get off a shot with a desperate slide or hurry their attempt with their weak foot and send it wide. Natural actions like these didn’t always happen in the past, but now make the game feel less stiff. Similarly, players’ feet can bring in slightly wayward passes, first touches exhibit fine footwork (or the lack thereof), and dangling legs and feet can produce passes and disrupt them from the other team. 50/50 balls in the open up for grabs between players also produce varied results. While the determination of who gets possession is still animation-based (and therefore not always correct), it’s nice to see the ball dribble out unexpectedly at times. Along with other welcome surprises like more near-miss shots comes those of the less-pleasant variety: headers that have too much velocity and which are sometimes undefendable in the box, passes nowhere near the mark, and bouncy ball physics that make the new flick moves odd. FIFA fans will recognize some of these legacy gameplay issues, as they will much of the career mode because it’s largely the same as last year. Your club gets more transfer money to play with because some of it carries over from year to year, but you can’t always trust the A.I. to conduct prudent transfer busines. Fringe players ask for playing time above their station, the transfer market dries up quickly, and squad rotation due to fatigue is not a concern as it is in real life. These don’t break the mode, but they are symptoms of its staleness – which is not solved by the addition of the Champions League and Europa League. The Journey story mode is back, but whereas it was nice to catch up with Alex Hunter and Danny Williams last year, the finale to their tale here is drained of such fascination. The calendar of training sessions (with new skill games) and matches is a familiar and tedious grind which neither the story’s predictability nor progression can solve. Danny has a jerk brother? Don’t worry, it’s not a spoiler because you don’t care. Adding Kim Hunter’s journey as an ascending USWNT star is welcome, as is being able to switch between each character’s story at will, but it doesn’t lessen the burden, fix the rigid skills tree, or make your teammates smarter. The Journey this year isn’t worse, but having more of it doesn’t make it better, either. Ultimate Team is FIFA 19’s one mode that enjoys some growth – at least if you’re a competitive Weekend League player. Qualification is more accommodating of when you want to play, and the leagues has been shortened to 30 games in three days. However, casual players are limited to Squad Building Challenges that can cost a relatively high amount of coins for packs without good odds, and a marketplace that needs quality-of-life-improvements to better help you find cards. I like FIFA Ultimate Team, but unlike the version found in Madden, I tire out quicker because my avenues to making coins are less enjoyable. Ironically, the one mode in the game that is usually not worth mentioning – the Kick Off exhibition mode – has something to talk about this year with the inclusion of couch-based House Rules games revolving around variations like long-range goals counting for two and the leg-breaking, card-free No Rules match type. The game contains some impressive moments on the field, but off of it it's more of the same. Concept Make gameplay improvements while not doing a lot to the modes themselves. Graphics Player faces are excellent and the presentation – drawn from the real-life telecasts for some leagues – remains top-notch. Sound Derek Rae and Lee Dixon commentate the Champions League matches which is cool, but their commentary itself isn’t impressive. Playability The new pre-set tactics mapped to the d-pad are welcome and easy to set up and execute. 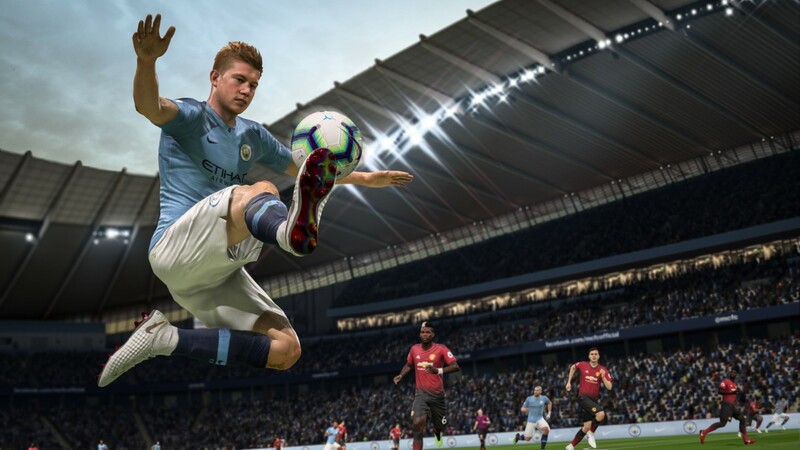 Entertainment FIFA 19 is more exciting on the pitch than off due to the small additions made to the former and the lack of progress for the latter.